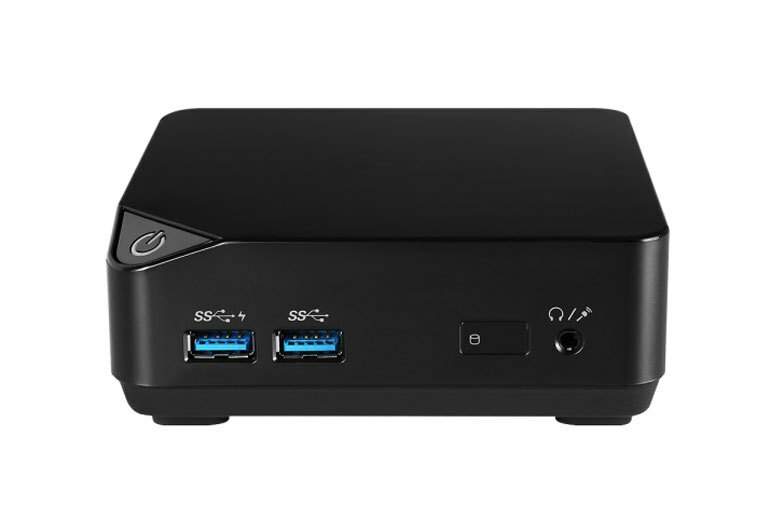 The Cubi runs quietly, which makes it ideal for using it as a home theater PC. 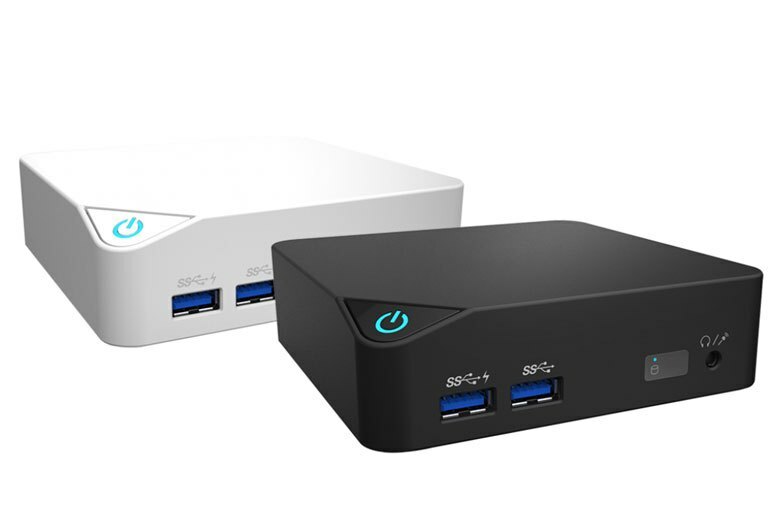 The Cubi supports two storage drives, giving you some freedom to use a combination of drives that best suit your needs. 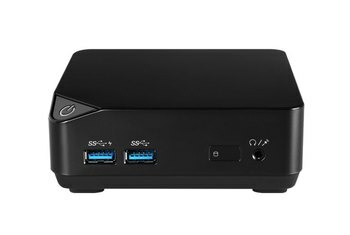 The mini PC supports 4K video and is able to drive two monitors using its HDMI port and Mini DisplayPort. The Cubi lacks a built-in card reader, so you'll need an external USB card reader. The drivers and electronic manual come on a CD, but there's no optical drive included with the Cubi. The internal SATA ribbon doesn't seem sturdy; it might not be conducive to frequent drive-swapping. 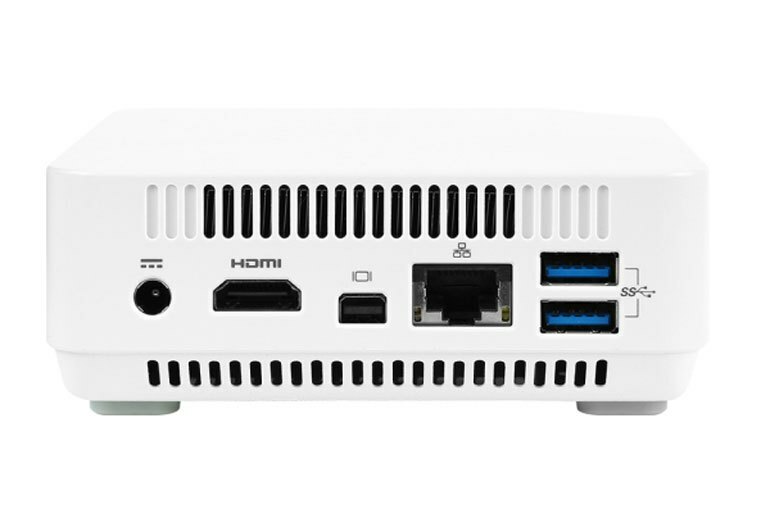 The MSI Cubi is a barebones mini PC that’s small enough to mount to a monitor. It supports Windows 7, 8.1, and 10. Processor options start with an Intel Celeron 3205U and go up to an Intel Core i7 5500U. You’ll need to provide your own copy of Windows, along with a storage drive and memory. 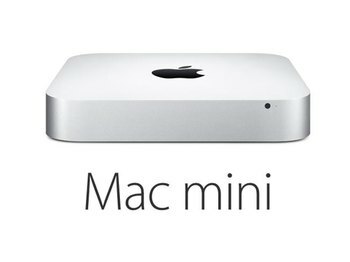 There’s a slot for an mSATA SSD and a 2.5-inch drive. Two SO-DIMM memory slots are available, supporting a maximum of 16GB of RAM. 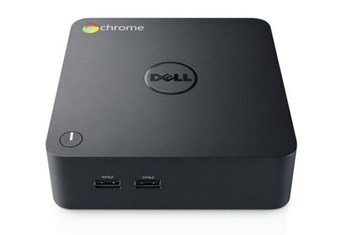 There are four USB 3.0 ports, an HDMI port, Mini DisplayPort, audio out, and Ethernet. 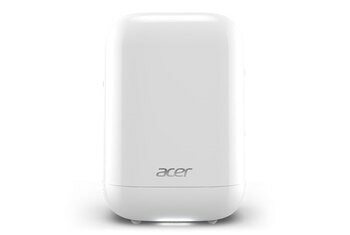 AC Wi-Fi and Bluetooth 4.0 are included. 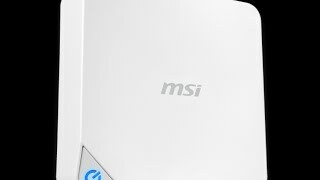 Starting with the general system results and working our way down, the MSI Cubi delivered consistent and impressive numbers. I found no area of weakness with the Cubi, if anything it surpassed my expectations. 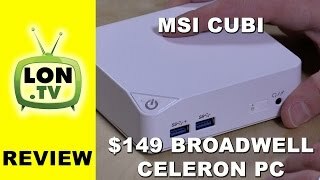 For me the Cubi isn’t just a small computer, it’s a well thought out product that brings a solution to a problem. 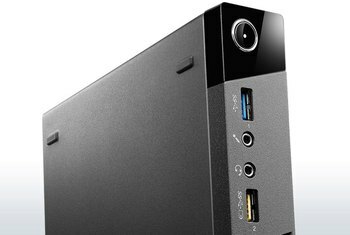 ...with access to an additional 2.5-inch drive, via an mSATA adapter, the Cubi can accommodate up to 1TB of additional SSD space, if you require it. The Cubi isn't passively cooled, meaning it is possible to hear the fan whirring inside, but only in a completely silent room; it's so quiet that we had to put our ear right up against the exhaust vents to hear it in the office. ...if you don't care about gaming, a Cubi config could save you some money off a system like the Alpha, or at least let you trade off on the components that matter the most to you. This is an absurdly quiet PC. You can hear the cooling fan when the system is working hard however it is quieter than a buzzing insect and more akin to a refrigerator in the next room. This small system is compact enough to be placed on your desk or at the back of your monitor thanks to the VESA support included in the package. It took a few tries for me to figure out the boot menu (I got impatient and did not read all the options), then all went as planned. Access to the inside for upgrading components is very easy, just four screws, and we really like that MSI have supplied that alternate base which allows us to add some extra storage if needed, or keep our system as compact as possible.